Great value Dan for some very useful items.As you know I am testing the centre caps and boot clips both of which in my opinion are better than the originals. I have fitted the cooling fan connector and two hi viz mast caps - excellent !! [quote=rekooh99;1710]Dan any chance of 2 yellow centre caps with c5 in black in the centre? 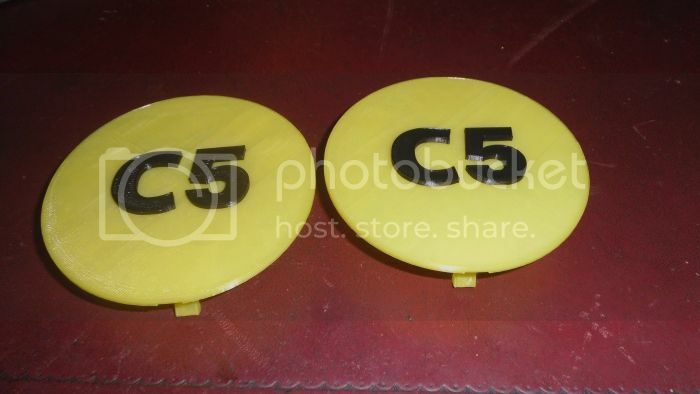 But with the colours being Yellow cap + Black C5 letters? If so I'll get them printed out for you. They'll be the same price as the normal caps £3.50 + £2 P&P, let me know if that's okay? Dan payment sent to you for the centre caps thanks again. They look great Dan thanks give yourself a genius medal. The adapter Arrived yesterday, and i can only say i looks perfect . 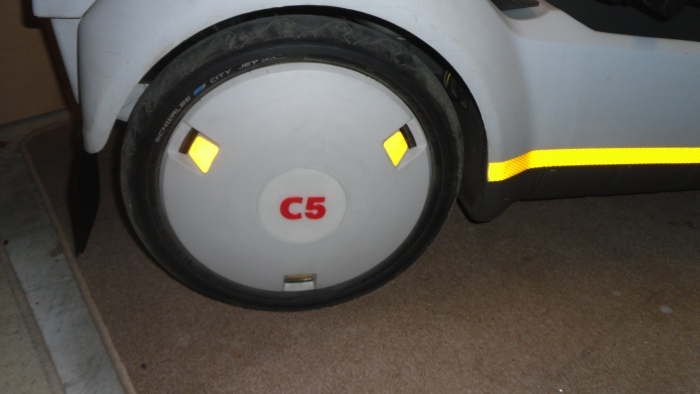 Other good news is that the boss agreed with storing my C5 in our garden housen so i work on in during the winter. I will try to keep you all posted with some updates now and them. First I need to hunt for a proper fan and some bolds to mount it all. Great, glad it got to you! Did you manage to sort your control box/pod out? It'll resume in January, feel free to keep emailing your requests and I'll deal with them in order in Jan.
Yip you have to wrap my pressy ? Have they gone missing ? Or mushrooms wanting stuff for free ? Just a quick one to let you know that all 3D printing has stopped for now. I've got some spare items already made, but after they are gone I don't know if/when I'll make more items. is it the print head ? Your best bet is to ask Chas. His mudflaps are virtually identical to the originals. The mudflaps I've done are a different material altogether and are not as flexible. Any boot lock kits left? Or do you have the 3D file for someone else to print it? Hi, Sorry yep when I've made some more of the boot locks I'll update this thread. As for the files, I've had a number of requests for these and at this moment in time, the files are not for general public distribution.